Winx will be chasing a fourth Cox Plate on Saturday. DECLARING Winx in peak condition, Chris Waller will use Breakfast With The Best at The Valley to add the finishing Cox Plate touches to the wonder mare. 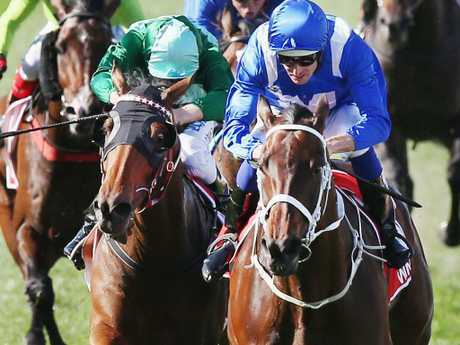 Delighted by the world's best horse's work at Flemington on Saturday, Waller will float Winx to The Valley to ignite a familiar - and highly successful - process. "The Breakfast with the Best is part of her routine," Waller said. "When she goes three weeks between runs, she gets a bit fresh. "So we take her to the races on the Saturday before for an exhibition gallop before she races. "Wouldn't be right to take her to Caulfield Cup Day, so Breakfast with the Best fits the bill perfectly. "It gets her on her toes, just gets the blood flowing, have a little bit of a sweat and then you'll see her turns up on Saturday, she'll be picture perfect." 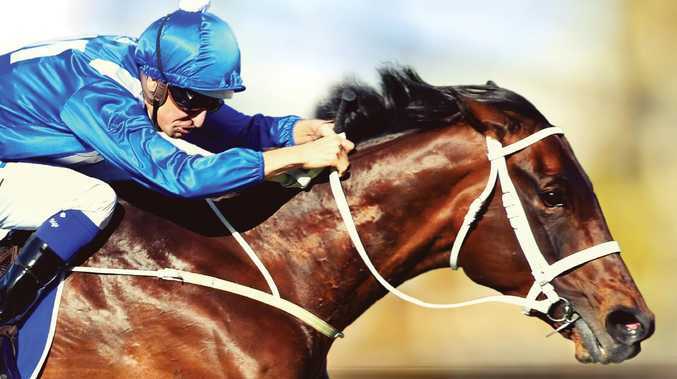 Seeking a 29th successive triumph and record fourth Cox Plate, Winx is a $1.20 favourite to create even more history. 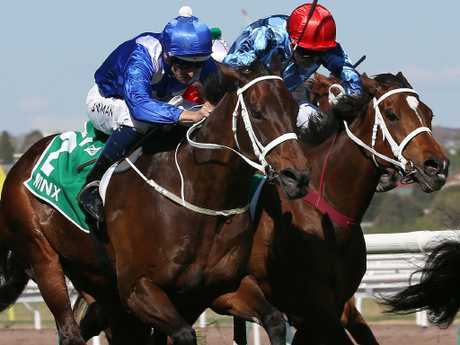 Now seven, Winx's future beyond this spring has not been formalised. Hugh Bowman and Winx fly home out wide to win the Turnbull Stakes. Asked if Saturday's race would be the last time the champion would be seen in Melbourne, Waller would not be drawn. "I won't say yes or no because I don't think it's fair really on the horse or the discussions we've had with the owners," he said. "We've only had one discussion and we mentioned when will it (retirement) be? And we all agreed the horse will tell us when it will be. "So, I don't want to say unlikely or things like that because I think it will be obvious when the decision is made. "I keep reminding myself to enjoy Winx for today and tomorrow and not worry too much about when she finishes racing but look forward to reflecting on all the great memories and when she becomes a mum. "So there's lots to look forward to." The world's top-rated horse, hasn't lost for three years, unbeaten at The Valley. Chasing a fourth Cox Plate. Narrow but impressive Caulfield Stakes win. Two wins at past three starts have come at Group 1 level over 2000m. Can he beat Winx? A career-best - and by some margin - would put him right in the picture. Chased Winx bravely in this race last season, getting to within a neck of the champion. Can he beat Winx? Blinkers magic worked last year, who knows what DK Weir has up his sleeve this time. Narrowly beaten in the Caulfield Stakes by Benbatl in a significant improvement off Australian debut. Can he beat Winx? Until this season, Charlie Appleby was so successful walking on water seemed within his grasp. Will need a miracle to topple Winx. In front before the line and after the line in the Caulfield Cup. This guy is renowned for his toughness and will get back to his best trip if Lloyd Williams chooses to back him up. She would have to get strung up in traffic and lots of it for that to happen. He'll give a kick when she gets to him but that will be it. Rising star attempting to emulate Makybe Diva and Saintly by winning Cox Plate before Melbourne Cup. 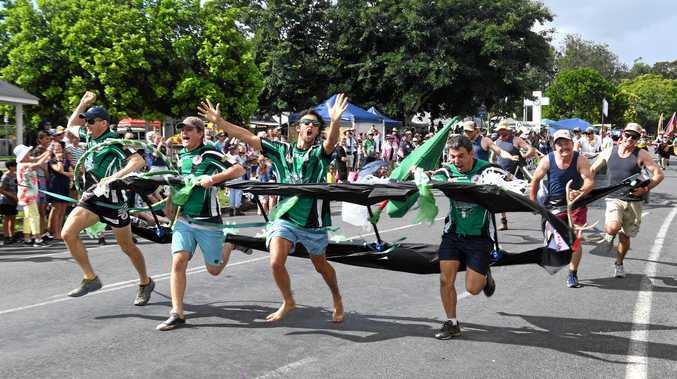 Unbeaten in Australia. Can he beat Winx? Doubtful, but stranger things have happened. Flemington is the focus. He started favourite in the Caulfield Cup but the race proved a non event for him as he knuckled at the start and was held up in the run. Finished nicely. Maybe he's got one more big race start in him this spring and this might be a better option than the Melbourne Cup which he's going to struggle to get into. He wasn't that far away from her in the Turnbull Stakes but they'd have to be dreamin'. Consistently contends between 1600-2000m at elite level but has won just one of past six. Can he beat Winx? There would be mutiny in the Waller yard if the master trainer shot Bambi himself. No. Star Kiwi mare who booked a ticket to The Valley with a win in the Group 1 Livamol Classic at Hastings. She's a dual Group 1 winner and had little luck when fifth in the Australian Oaks behind Unforgotten after winning the New Zealand Oaks. Hard to assess the form but she's consistent and could be around the placings. Unlikely but when she's lost she's normally been unlucky. She's untapped. She's as good a wildcard as any other runner. Aidan O'Brien trained son of Frankel who gained his ticket here with a win at Group 3 level at Leopardstown. He finished second in the King Edward VII Stakes at Royal Ascot which is where Adelaide finished when he won the Cox Plate. He then finished second behind Latrobe He's owned in the same interests as Adelaide. He's talented but couldn't get close to Poet's Word two starts ago in a Group 1 over 2406m. On the flip side he's got Adelaide parallels but whether that's good enough to beat Winx is another thing. 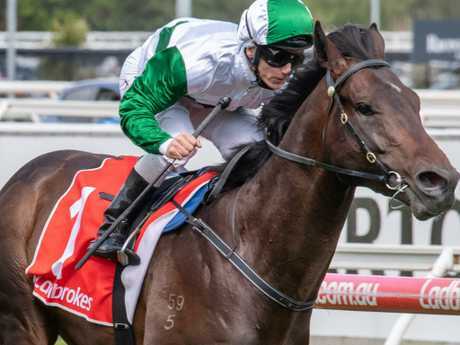 Three-year-old colt who controlled the race when he won easily at Caulfield on Saturday which took his record to four wins and two thirds from six starts. He should be undefeated this time in and will carry a featherweight but Gai might decided to concentrate on the Derby. Gai will be happy to have a throw at the stumps but unless Hugh Bowman channels the attention span of Pakistan batsman when running between wickets last week and doesn't see him in front it couldn't happen. Could be placed though. If he did he should be renamed the Siege Of The Valley because the course might have to be put into lockdown with the ensuing riot. She was tracking well before her failure in the Thousand Guineas where the track was too firm and she pulled up with poor post race recovery. She's in one of the most underrated stables in racing but she looks out of her depth. Only in her owner's dreams.